Marvel is gearing up for some major events this summer. 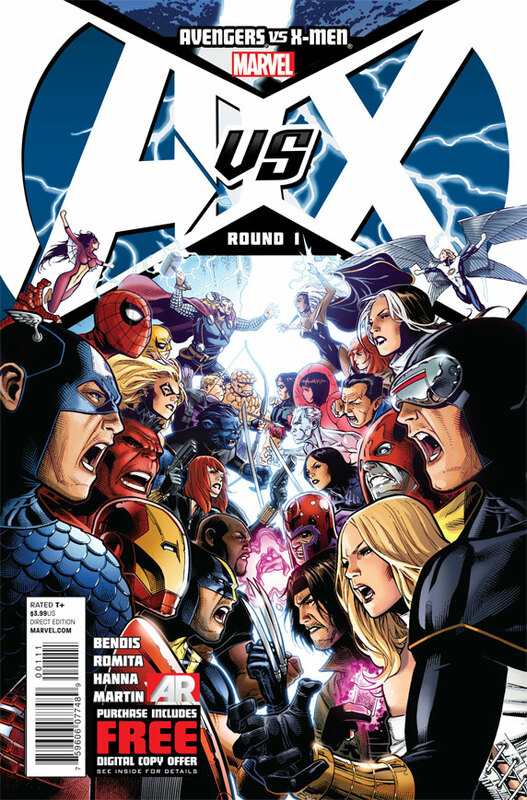 The first of them is the debut of the Avengers vs. X-Men comic book series. Launching today, rumor is that it will be the biggest comic book event in history. At least, that’s what Marvel is aiming for. The twelve issue series, centers on the Phoenix power and its return to earth to search for a new host and unleash its immeasurable power. The Avengers and the X-Men must each make decisions, which will lead to a war between the two biggest franchises in the Marvel Universe. It’s going to be interesting to see what brings about the battle between the two teams and which one will remain victorious in the end. Recently, I was given an opportunity to interview Axel Alonso, Marvel’s editor in chief, to get an inside look at the series and what goes into a project so big. GeekMom: Where should newbies start to get ready for the Avengers vs. X-Men? Axel Alonso: We designed Avengers vs. X-Men to be new-reader friendly, so you don’t have to read anything before you pick up issue #1 to be able to get right into the story. That said, we did publish a self-contained one-shot, Avengers vs. X-Men #0 that serves as a nifty behind-the-scenes pro-log to the event. GM: Are there any characters that are not generally seen that readers will see? AA: A few, actually, and we take great pains to make sure new readers understand who they are – and why they’re important – right out the gate. One of them – Nova – appears in issue #1, and he hasn’t been seen in a while. GM: What would you say is the starting age for reading the Avengers vs. X-Men? GM: When putting this kind of thing together, how many people are typically involved? AA: When we do big events like this, we usually employ one writer and one artist. However, this story is so huge – it cuts across the entire Marvel Universe – we thought it would benefit from additional brainpower. So, we tapped five of our most popular writers (Brian Bendis, Jason Aaron, Matt Fraction, Jonathan Hickman and Ed Brubaker) and three of our most popular artists (John Romita Jr., Olivier Coipel and Adam Kubert) to do this story. GM: What part was the most fun while working on the project? AA: Seeing how each writer owned the issue that they wrote. Each worked from a loose outline that was work-shopped by the group, but when they sat down by themselves, that’s where the magic happened. Are you looking forward to the release of Avengers vs. X-Men? Let us know your thoughts and who you’re cheering for! ← Winners Of The Hop Easter Giveaway!